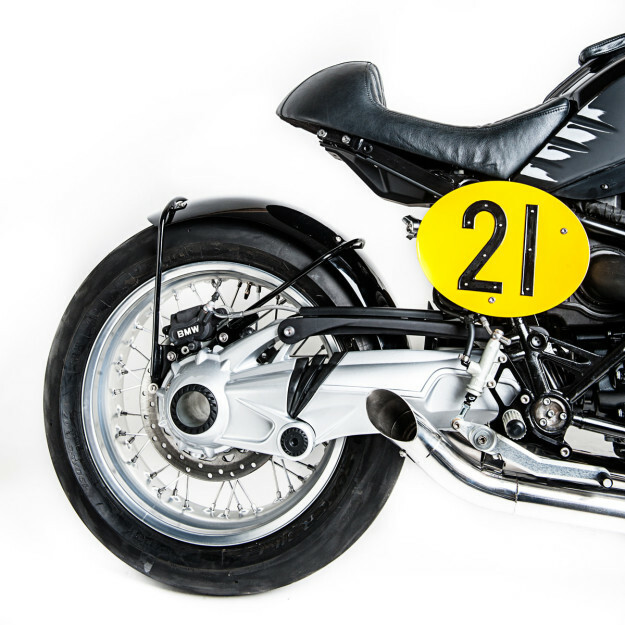 Thanks to BMW Motorrad’s aggressive (and slightly genius) marketing strategy, custom R nineTs were popping up before the bike had even hit showroom floors. And now that the furor has died down, local distributors are having a go too. 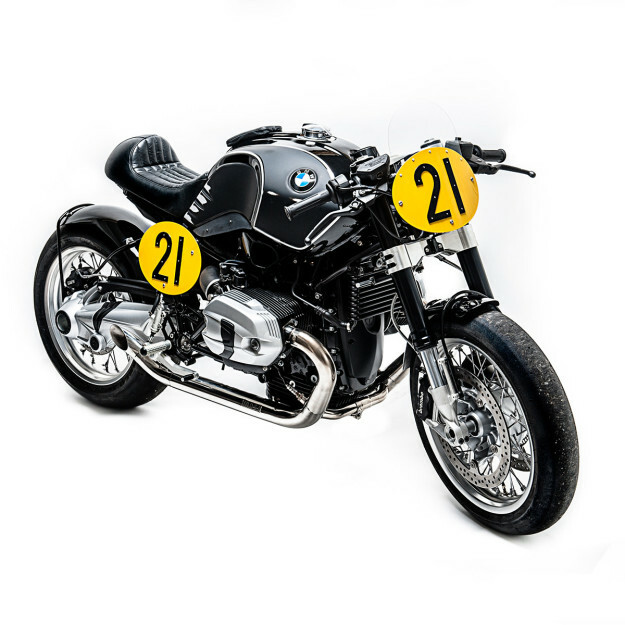 BMW Italy recently invited dealers to participate in an R nineT build-off and one dealer turned to Officine Sbrannetti to build their entry. This is it, and as far as we’re concerned, it’s a shoo-in. Officine Sbrannetti is a fairly young operation, run by five friends out of an old house in La Spezia. They started up two years ago—spending the first nine months converting the house into a workshop before tackling their first motorcycle. 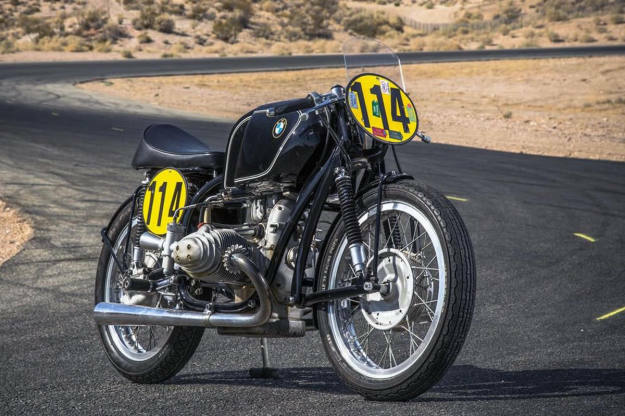 That motorcycle was the legendary BMW RS54 Rennsport (above), piloted to second place in the 1956 500cc World Championship by Walter Zeller. 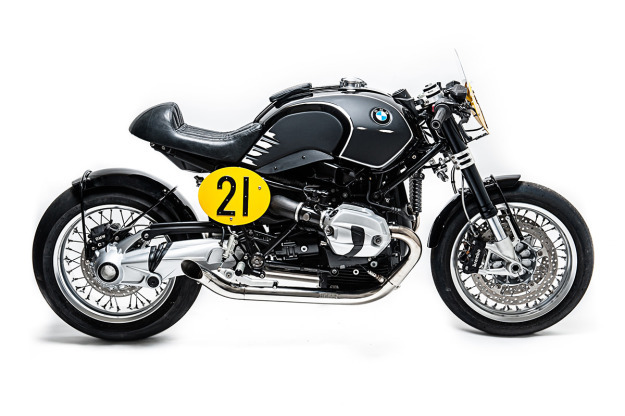 Since the profile of the R nineT is radically different, the goal was to build a modern homage, rather than an exact replica—while carrying over as many details from the Rennsport as possible. 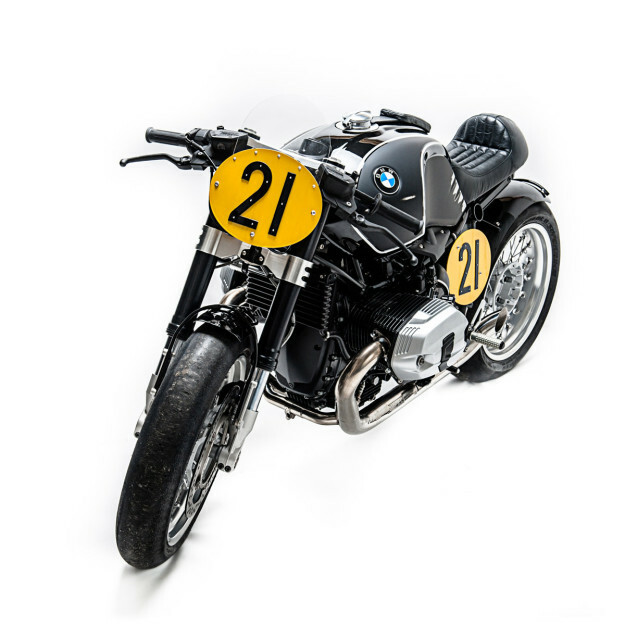 The BMW R nineT’s original fuel tank was handed over to Pierluigi Tagliagambe from TP Design in Massa. He finished it in a mix of matte and gloss black, with a textured aluminum stripe to mimic the white pinstripes on vintage BMWs. The areas where a racer’s thighs and arms would make contact with the tank were then distressed, giving the bike a track-worn vibe. Turning their attention to the seat, the team fabricated a metal base that could be attached using existing fittings. 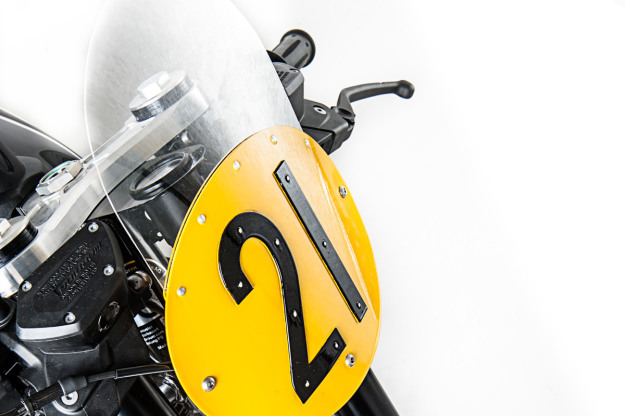 Leather artisan Andrea Lava of LA1972 upholstered it in aged leather, and also created a matching tank belt and sternum pad, embellished with the name and number of the bike. 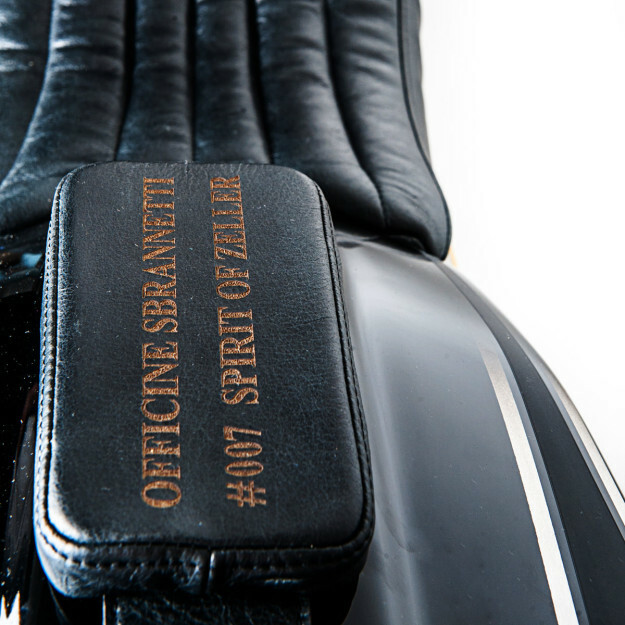 Officine Sbrannetti prefer to use metal when fabricating parts, rather than plastic or fiberglass. In keeping with this they asked another friend, Emanuele of Della Signs, to make a set of number boards. The boards were fitted using hand-made brackets, with the front bracket doubling up as a mount for a small MMB speedo. The Sbrannetti crew then trimmed the stock front fender and modified a rear fender from Officine 08. Both were fitted using custom-made braces, with the rear fender aligned to hug the wheel in the style of the RS54. Staying with the vintage feel, the valve covers and swingarm were stripped and finished in a light grey. But now the black wheels and gold forks looked out of place. So they were anodized in silver and black respectively by another La Spezia company, Style & Performance. 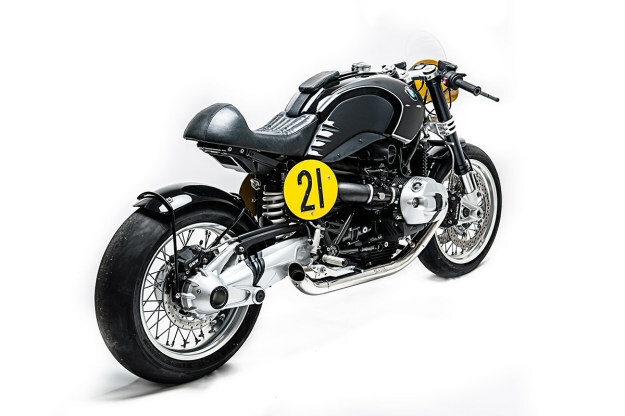 Style & Performance also supplied the nineT’s finishing kit: aluminum rear-sets, clip-ons, a new top triple tree, and a unique filler hole flange for the fuel tank to enable the use of a Monza gas cap. 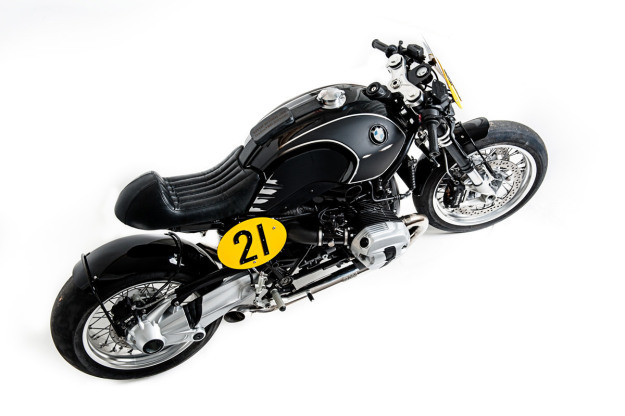 Despite this, the R nineT as it’s shown here (complete with racing slicks), is not road legal. “We realized our project purely as a racing version, with no compromise,” explains Jody. Even so, there’s a version of the front plate with a headlight, and a license plate holder. 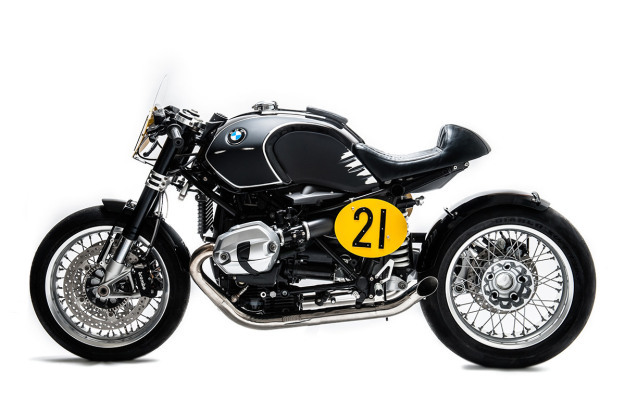 In a final tribute to Walter Zeller and his Rennsport, Officine Sbrannetti dubbed their R nineT “Spirit of Zeller.” And as modern interpretations of vintage race bikes go, it’s as good as it gets.